Whether you prefer Granny Smith, Honeycrisp, Pink Lady or Gala, fall is all about the apples. Even though this fruit is available in most markets year round, they are truly at their best during peak season. Take advantage of the plethora of varietals and make and bake everything imaginable containing the autumn fruit from applesauce, to cakes, to pies, and even apple butter. This collection of applicious treats are just the beginning of your apple cooking journey. No store bought pop tart compares to these crispy golden brown homemade caramel apple tarts. The flavors pop like sparklers in your mouth and the pie crust melts away into buttery goodness. If you want to serve these for dessert, top with a generous scoop of vanilla ice cream. A galette is a French free formed pie that's delicious for just about any occasion. While you can certainly purchase pre-made pie dough, homemade is best for this recipe because not only does it give you more control of the tart but it tastes better too. The pie filling is simple and straightforward - apples are tossed with a homemade caramel sauce and stuffed into the pie crust. Apple chai cake uses a little help from the store to ensure this dessert is super quick and easy. Boxed apple cake mix is given a makeover with the addition of chopped tart apples and pecans. The entire cake is covered in a thick and e=rich frosting spiced with vanilla chai. If you're in need of a fast apple dessert, this should be your go-to recipe. This brown butter apple bread makes your home smell like fall while it's baking. The warm spices coupled with the tart apples and rich brown butter glaze is the perfect harmony of fall flavors. The best part about this bread is that it comes together in just an hour - no kneading or rising required. 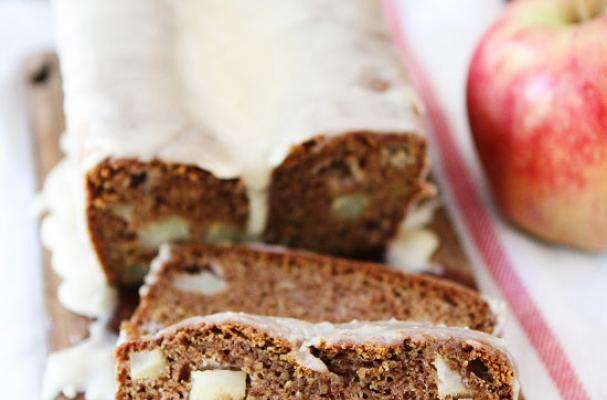 Enjoy this brown butter apple bread with your morning coffee or as an afternoon snack.